Mercury is the closest planet to the sun, but far from being a dull cinder of a world, it has instead turned out to be a real eye opener for geologists. Among the revelations by NASA's MESSENGER probe, which first flew past Mercury in 2008 and orbited it between 2011 and 2015, is the discovery of a hundred or so bright red spots scattered across the globe. Now they are at last being named. But MESSENGER revealed multiple lines of evidence showing that Mercury is actually quite rich in so-called "volatile components". 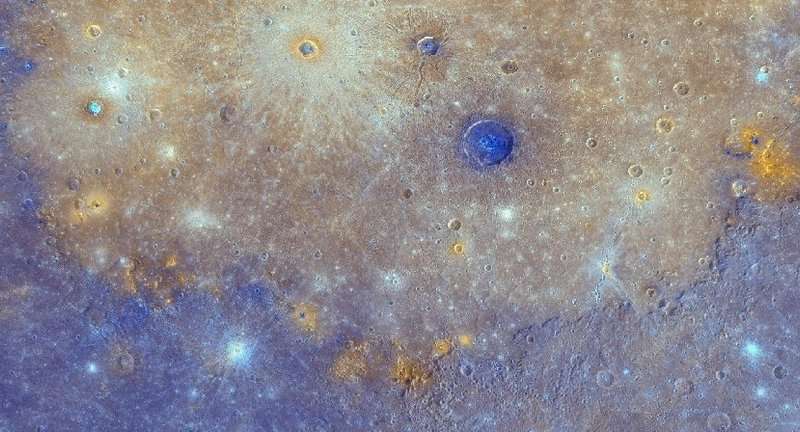 These include direct measurements of abundant sulphur, carbon, potassium and chlorine, and the discovery of patches of shallow hollows where it looks as if some unknown volatile material near the ground surface has been somehow dissipated into space. Maybe this means that Mercury is actually the remains of an interloper from somewhere beyond the Earth's orbit, where volatile material was available in greater amounts during planet formation. A "hit and run" impact with the Earth or Venus in the early stages of their formation while Mercury was migrating inwards towards its present orbit close to the sun could have stripped it of much of its original rock, leaving the dense but volatile-rich body we see today. 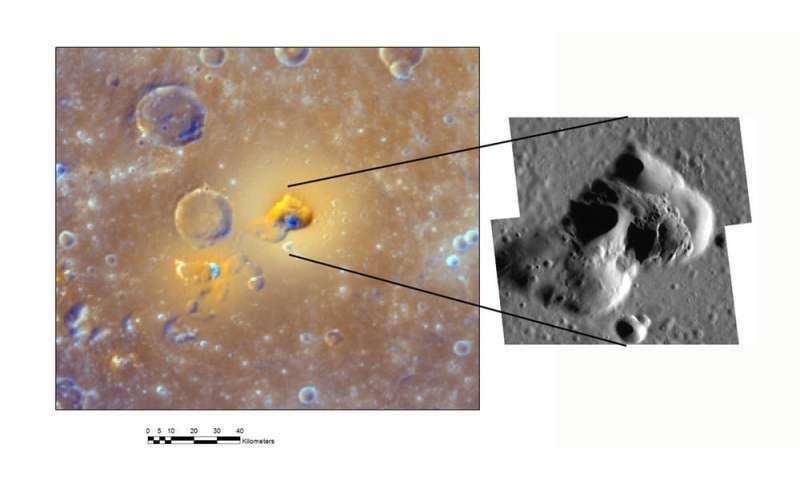 Whatever Mercury's origin, the red spots and their source vents demonstrate explosive volcanic activity that in some cases likely continued into the most recent billion years of Mercury's 4.5 billion year history. Scientists deduce this because some of the vents puncture young lava flows or the floors of young impact craters. So why do the red spots need names, and how were the names decided? Names are needed for features on planets because it is cumbersome and unmemorable to refer to them merely by geographic coordinates. Names are allocated by nomenclature working groups of the International Astronomical Union, whose job is to achieve clarity and consistency, while also seeking fair representation of Earth's many cultures. Craters are given single word names, but names of most other features are in two parts: a specific name plus a descriptor term. The descriptor term is a word (usually of Latin origin) specifying what each type of feature looks like, but without implying that we know for certain how it formed. 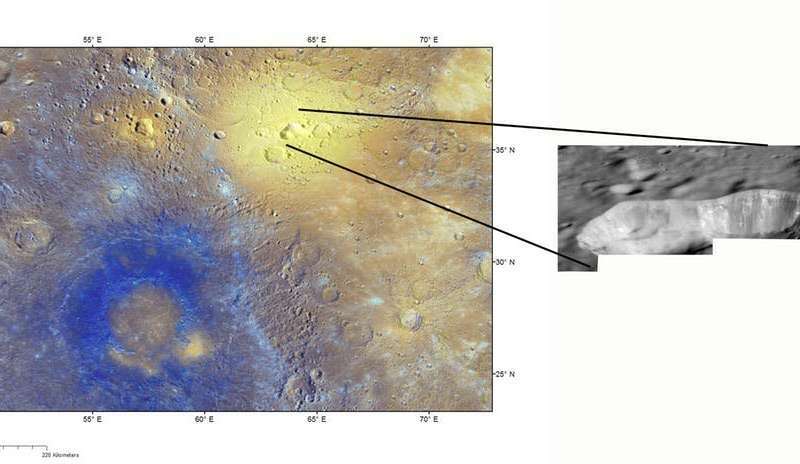 For example, we have "vallis" for valley, "planitia" for low plain, "planum" for high plain, and so on. The specific names used for each type of feature follow a convention adopted for each planet. In the case of Mercury's red spots, it is the spots themselves rather than the presumed volcanic vents at their centres that have been named. The chosen descriptor term is "facula", which is already used for "bright spot" on various other planetary bodies. The theme chosen for the specific names of faculae on Mercury is the word "snake" in various languages. For example, the three faculae near Rachmaninoff crater have been named Nathair Facula, Neidr Facula and Suge Facula, using "snake" in three minority European languages: Irish, Welsh and Basque. 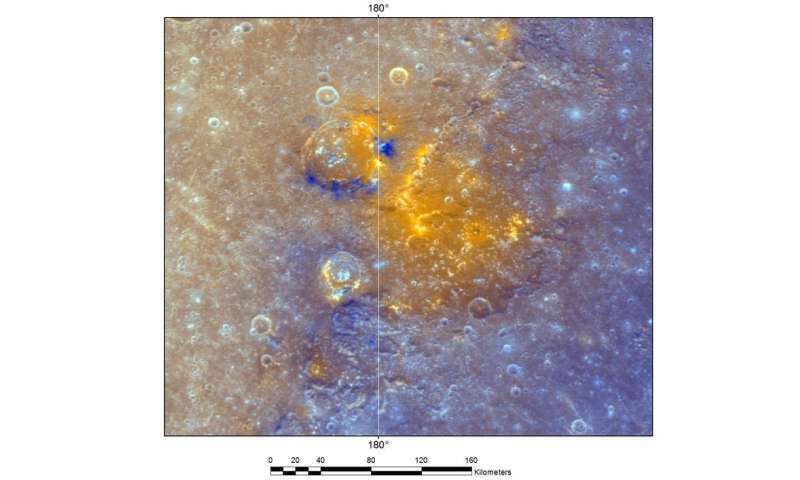 Ten faculae in Mercury's Caloris basin have so far been named each in a different African language. This means that scientists can now refer consistently to Agwo Facula (using the Igbo, southeastern Nigeria, word for snake) rather than "the spot around that kidney-shaped vent in the southwest of the Caloris basin". to Fe2+ in glass and silicates"
COMPACT IMAGERS BASED ON MESSENGER'S MERCURY DUAL IMAGING SYSTEM.